FWD Insurance and DBS Bank have launched an electronic claims system via the PayNow platform, simplifying the delivery of benefits to policyholders. PayNow is an electronic fund transfer service available to customers of any of the seven participating banks: Citibank Singapore, DBS Bank/POSB, HSBC, Maybank, OCBC Bank, Standard Chartered Bank, and United Overseas Bank. 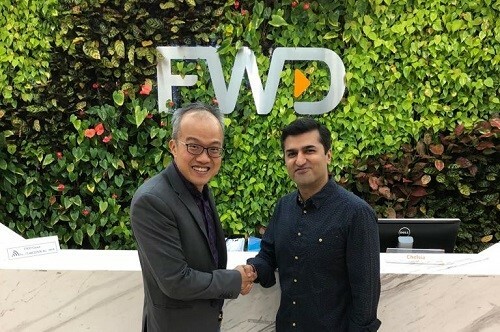 A statement by FWD said that customers that wish to receive payouts via PayNow only need to provide their PayNow-registered mobile number or NRIC number to allow fund transfers to their account. This move is part of Singapore’s push towards digitalisation. In February, FWD and DBS worked together on a real-time electronic claims payments system using DBS’s IDEAL RAPID interface. FWD Singapore chief executive Abhishek Bhatia (pictured right), mentioned the new system’s advantages over paying claims out through cheques. Meanwhile, Benjamin Yeo (pictured left), managing director and head of insurance coverage at DBS Bank said that the collaboration aligned with the bank’s mission to bring new digital experiences to its clients.